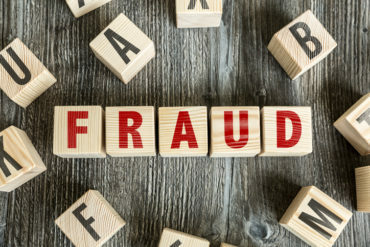 Insurers need to work with regulators and other carriers to help fight the growing problem of insurance fraud, industry professionals say. Industry statistics show that insurance fraud costs $1.6 billion each year in Ontario alone. A modern online claims process that lets consumers see how their auto accident benefits are being used, to make the claims process more convenient and help detect and discourage fraud. Laughlin also spoke to Canadian Underwriter about collaboration between insurers on fraud, several weeks after Aviva Canada and Desjardins collaborated on a fraud case. There are many benefits that come from collaboration, she said, but two in particular stand out. One is that some fraud schemes are quite elaborate and difficult to detect when an insurer simply looks at their own portfolio. Like some other insurers, Intact works with the Insurance Bureau of Canada (IBC) and other members of Canada’s insurance industry. It is one of nine carrier members (some with more than one brand) of CANATICS. In addition to its in-house dedicated investigative services unit, Travelers Canada is also a member of CANATICS, or Canadian National Insurance Crime Services, said the insurer’s president and CEO, Heather Masterson. The not-for-profit organization uses pooled data analytics to facilitate investigations into suspicious claims, Masterson said. Travelers Canada also works closely with the investigative services division of IBC.